We supply and install a range of smoke detection systems for your home of business. Smoke detectors are useful for detection of smoke in case of a fire outbreak. These alarms are used on a large scale for industrial, commercial, and residential usages. As soon as smoke is detected in the room where the smoke alarm is installed, it raises a loud audible sound in that location. This sound helps everyone become aware of the fire incident inside the building. These alarms are mainly placed inside disk shape body with optical detection features. Some of the alarms are also suitable for residential usage while using the ionization process to detect smoke and trigger the alarm. Certain smoke alarms use both these smoke detection methods to identify the fire outbreak quickly. The use of both type of detection facility helps to increase the sensitivity towards smoke. In case of large facilities, the smoke alarms require separate power supply but for residential usage, the smoke alarms have a battery fitted in them. The air sampling smoke alarms have the facility to detect minute smoke particles for raising the alarm. These air sampling detectors are mainly aspirating smoke detectors that works on the principle of drawing sufficient air through small pipes laid in the ceiling portion of the room. These pipes run over the entire area to be protected. Several small holes are then drilled into these pipes for detection of minute particles of combustion. 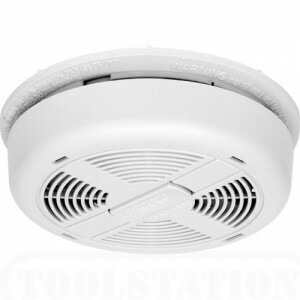 These air sampling smoke alarms are used for automatic fire response and alarm triggering. The air samples are drawn across a sensitive optical device inside the smoke alarm. Due to its ability to detect minute particles of smoke, these smoke alarms can raise automatic alarms especially in mission critical areas like data centers or server rooms. These air sampling smoke alarms have a better output than normal smoke alarms of the ionization type. The main benefit of air sampling smoke alarms is provision of different alarm threshold levels. The standalone smoke alarms raise the signals to make everyone aware of the fire risk in the building. The alarm is raised using audile tones up to 3200 Hz in range. The range is restricted due to application constraints. The output from the alarms stands at 85 dba within a 10-foot range. Certain alarms use spoken voice output to get everyone’s attention to a potential fire situation. Smoke alarms also make use of strobe lights with an output of 100 candela along with the alarm system to provide effective alarm especially in dark areas or corners of the facility or residential space. Sometimes smoke alarms can make use of tactical simulation to provide information to the personnel working in the facility. In case of areas where false alarms can be a menace, it is important to use smoke alarms of the hush nature. These alarms can be easily silenced without removing the battery from the same. Are you interested in installing Smoke Alarms inside your home or business?